Whether you know or even care about the historical significance of subway tiles, it doesn’t matter—their simplicity is nothing short of genius. These flat, uniform, and thinly grouted oblong tiles are offset in a design intended for minimal maintenance with maximum visual effect. They are enjoyed even more today whether applied in a traditional manner or representing a variation on the classic theme. Here, you can take a look at how “express” takes on additional significance with respect to subway tiles used as the backsplash in the kitchen. Yes, it’s true that these tiles make quick work of a kitchen backsplash. They’re thin and easier to cut than more elaborate tile. But if you’re not proficient in tile cutting, consider hiring a professional who can complete a job like this with great dispatch. Despite their uniformity, it takes the skill and expertise of a professional tile layer to ensure that these tiles maintain their classic uniform appearance when laid. Much of what originally held true for their installation and upkeep at the turn of the twentieth century remains true to this day: Subway tiles are easy to install, easy to keep clean because they use minimal grout, and even easier on the pocket book. 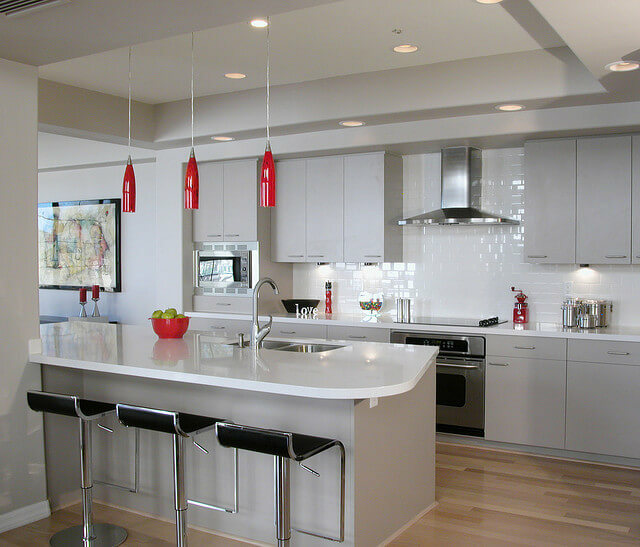 Take a look at this classic white subway tile backsplash treatment in a modern kitchen layout. The favored white tiles deliver a clean, fresh appeal appreciated in a kitchen where you want to convey the idea of a sterile environment. With this white gesso-like base, this is a blank canvas against which all other colors are made brighter! There is no difficulty deciding on a color scheme in this kitchen. On the other side of the spectrum, black subway tiles are more than just an accent. In this example, it is clear to see how contrasting grout color helps to define the simple yet powerful arrangement of tiles. Black is a color against which all colors will pop! Whether staying with a basic black and white theme, black tiles offer a wide range of decorating choices. There is a technique that uses a metal-over-porcelain tile in alloy for a distinctive metallic appearance. 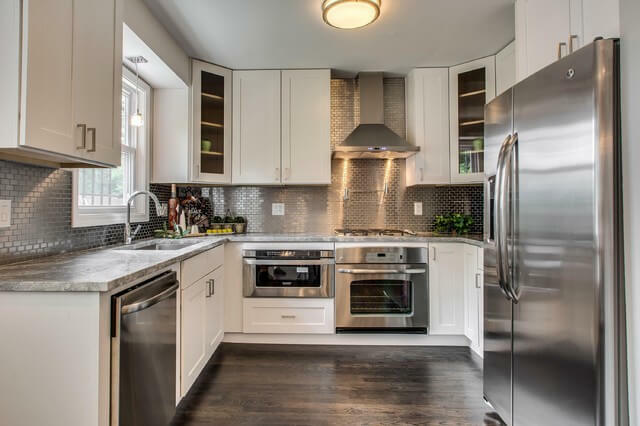 In this example, the stainless steel kitchen effect is complemented with subway tiles that match the sheen and shine, and they certainly convey the clean, bright nature of a stainless cook station. Today’s subway tiles run the gamut when it comes to choices of colors. While the Interborough Rapid Transit Company used color to designate the expressways, you have your choice of tiles that work best for your preferred design scheme. In this example, the neutral tone presents a stunning backdrop for the chrome appointments. It’s clear to see how the subtle addition of color makes appliances and accessories stand out. 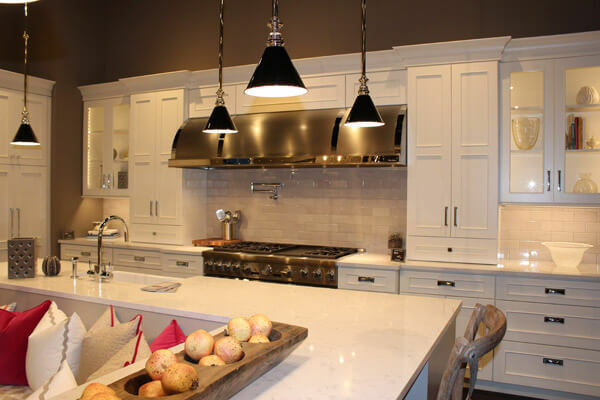 The pendulum lighting is a particularly beautiful accent in this traditional kitchen that makes clever use of the modern range and hood in antique metallic tones. 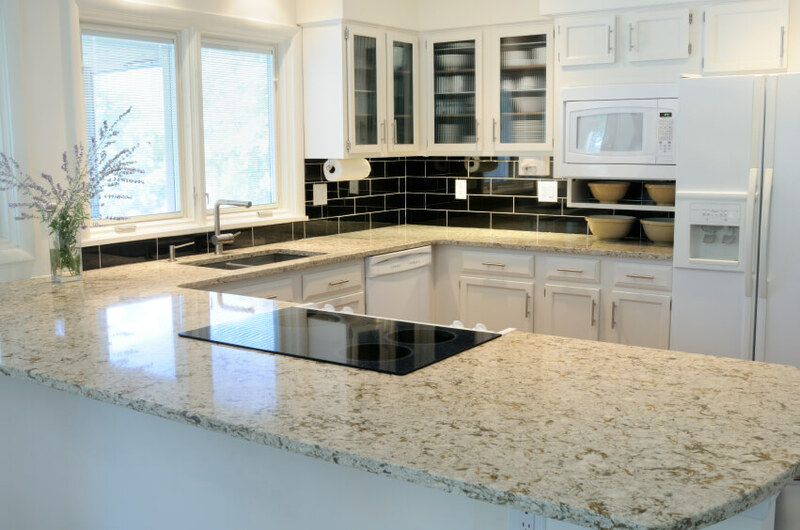 It is easy to see how a few simple alternatives to the classic white subway tile produce an efficient kitchen environment while delivering the feeling and aesthetic to enhance this most social of all rooms in the home. Now it’s your turn to pair modern concepts with classic style.